I've been sending more and more mail recently, so I'm getting to more current mail with these posts. Once I get back to my regular pace again, I'm hoping there will be more and more interesting things to share. 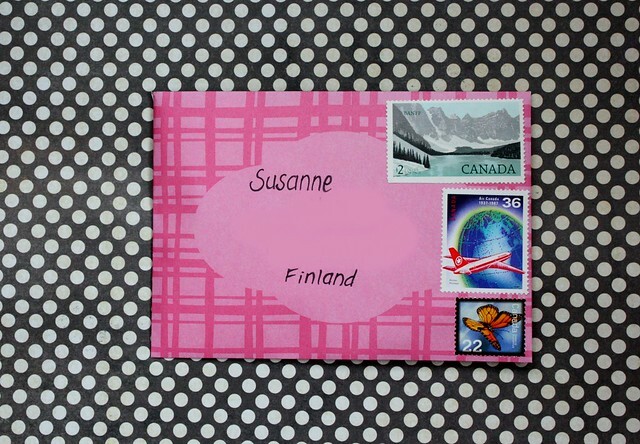 Sometimes it's the color of the envelope and the stamps used that makes a piece for mail to stand out. I strive to make each piece of mail I send unique and fun, but sometimes the contents need to be sent out faster than I can make something time consuming. In those cases I still try to coordinate the envelope and the stamps if possible. Even though these are fairly simple, I really like how they turned out! 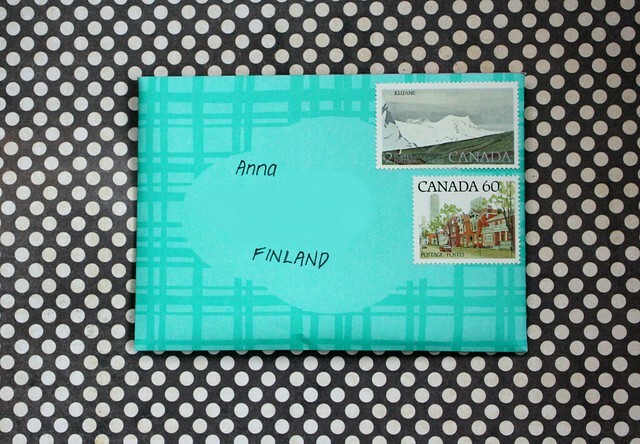 If you're short on time but really want to decorate the envelope, what's your go-to trick? Agreed, Caddi! Washi tape always works!